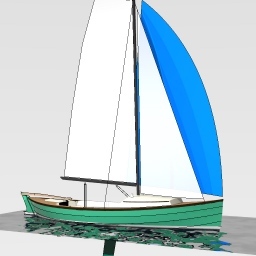 Again following our Swallow Boat design ethos with classic lines yet modern performance, the Storm 23 will carry a thoroughly modern Carbon Fibre Rig, Water Ballast, Swing Keel giving her sublime performance particularly in lighter airs (where transom sterns can’t plane). Her small cuddy cabin offers camping style accommodation and an outboard well in the aft deck provides propulsion back-up. However, she is first and foremost a day sailor. Due to launch in Spring 2014 with one already sold and a number of others interested, please get in touch if you would like more information or come and have a chat with us at Southampton Boat Show stand A107.